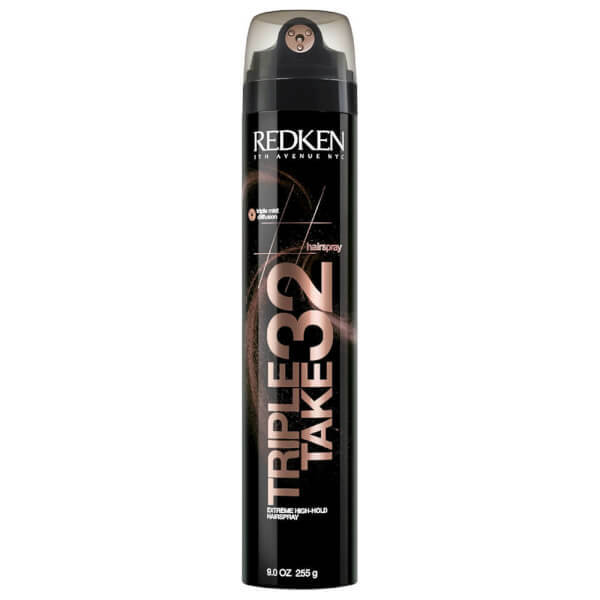 Take control of your style with Redken's Triple Take 32 Extreme High-Hold Hairspray; an ultra-fine, fast-drying mist that delivers long-lasting hold. Providing frizz and humidity protection without extra weight, the spray adds body and bounce to locks, whilst imparting a luxurious fragrance of Jasmine, Orange Blossom and Sandalwood. Innovative Tri-Mist Diffusion technology evenly distributes product, leaving hair sleek, smooth and voluminous without stiffness or sticky residue. Hold 20-30cm away and mist on dry hair. Layer for added hold.